Harlan Coben is my favorite author when it comes to a suspenseful story. This time he uses two common legends of his home town in New Jersey for the story. Readers are introduced to New Jersey Detective Napoleon “Nap” Dumas, a man whose entire life was turned upside down and inside out on one day. That day he lost his twin brother Leo and his girlfriend Maura. Leo and his girlfriend Diana were killed in a horrific way and Maura just disappeared. Now fifteen years later Maura’s fingerprints show up in a murder case making her the prime suspect. Nap has been trying to find her this whole time and this is the first connection but he can’t believe she would kill anyone. He has to find her but the clues keep leading back to an abandoned military base and may even have something to do with his brother’s death. Hold on tight folks, this is a book you are not going to want to put down. Coben tells this story in a unique way. From Nap’s point of view but telling his deceased brother Leo and not the reader always what is thinking and doing. These inner dialogues gave the story a different feel. We see that Nap is still clearly traumatized by his brother’s death. At first I had a hard time connecting with him but the connection grew as I got deeper into his story. Nap didn’t know if his brother’s death was an accident or suicide, so I did tap into the pain he was feeling having lost my son to suicide 30 months ago. His relationship, purely platonic, with his best friend Ellie, was the thing that made him feel more real for me. The plot is very complicated. There are people dying that all attended high school together but motive is hard to define making it difficult to find suspects other than Maura. Nap’s thinking is mostly of the What If? variety. Conspiracy theories arise, he reaches out to his mentor for help trying to bring together his thoughts with what actually could be going on. There are so many twists and turns I had to slow down my reading speed so I could grasp the clues clearly. Still, the final twist was a complete surprise. The story does have a rapid pace and I almost read the entire book in one sitting. I have enjoyed all the books by this author. I was thrilled to see Myron Bolitar make a cameo appearance. While not my all time favorite Coben novel it was a very exciting story. I can’t wait for his next one! 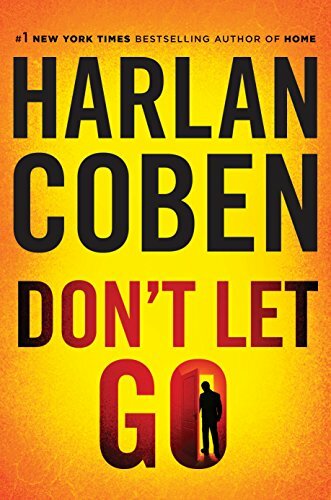 Find out more about Harlan Coben and his book on his webpage here.